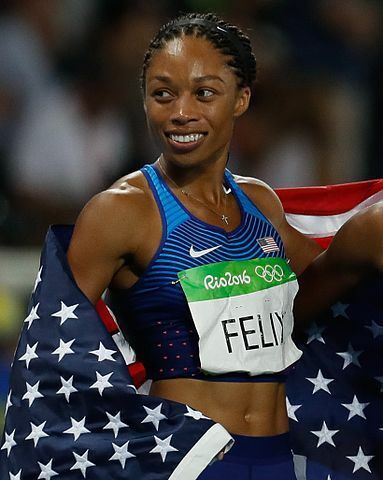 The delegation was lead by key bid executives including chair Casey Wasserman, LA Mayor Eric Garcetti and Vice Chair Janet Evans – but it was six-time athletics Olympic champion Allyson Felix who addressed the proverbial elephant in the room. Discussions about a Donald Trump Presidency in the United States has been a hot topic in Doha this week due to his xenophobic election rhetoric and inward-looking policies. “America is diverse. We are a nation of people whose descendants came from all over the world for a better life,” Felix, an African American, said. “But…we’re also a nation with individuals like me…descendants of people who came to America…not of their own free will…but against it. “We just finished our presidential election, and some of you may question America’s commitment to its founding principles. I have one message for you: Please don’t doubt us. America’s diversity…is our greatest strength. LA’s key differentiation from among Budapest and Paris is the extreme use of existing or temporary venues that will result in very little new permanent construction – in fact earlier this week it was reported that the bid will not even publish a capital projects budget since there there would be no line-items to include. This, the bid explains, will help set the focus, for seven years, on perfecting the athlete experience instead. To that end, Janet Evans announced LA 2024’s commitment to establishing an Olympic Village Council in partnership with the International Olympic Committee and ANOC, to ensure the existing facilities for the Olympic Village at the UCLA campus provide the “most personalized ever” Games-time experience for the athletes of the world. 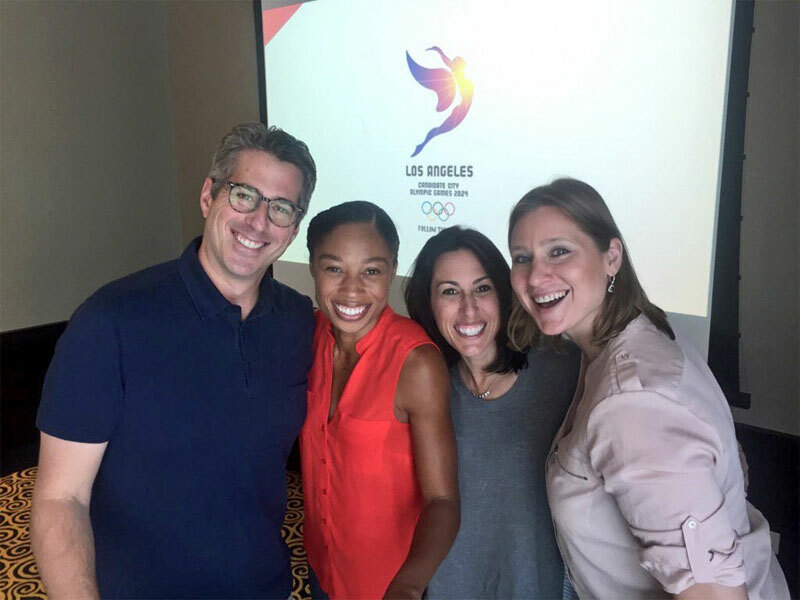 “LA 2024 is the right bid, at the right place, at the right time,” Evans said. Wasserman summarized the plans to address the IOC’s Agenda 2020 reforms geared for bidding. “Our goal is to reimagine a Games model that will do three things; use high tech to redefine sustainability, use innovation to minimize risk and use creativity to engage the global youth audience, he said. Mayor Garcetti laid out LA’s value proposition to the IOC, one that he admitted to being radical. He claimed that LA, like at the 1984 Games, could help save the Olympic Movement. “In other words, this bid isn’t only about LA’s future – it’s about our collective future. This is a stark and unique difference about our bid. The ANOC presentations were the first of three planned and approved events by the IOC during the 2024 bid campaign. The cities will present next July at a special session in Lausanne, Switzerland and then again just prior to the host city election September 13 in Lima, Peru.